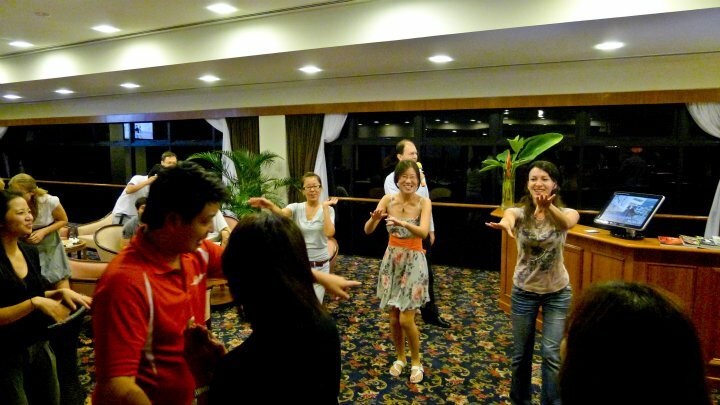 Some 20 Nanyang MBA students organized an MBA Karaoke session at the lounge of ‘one of the last bastions of unspoilt nature in this largely cosmopolitan city-state of Singapore – Raffles Country Club, a 25 minute drive from the central business district and less than that driving time from NTU. The lounge where we were going to test our vocal chords overlooked part of the 146 hectares of luscious land with a tranquil lake and rolling green hills plus a glimpse of the club’s two 18-hole golf courses. It was the first Karaoke Night organized by the MBA Student Executive Committee (Ex-Co) where we experienced an enjoyable and fun night of musical expression. 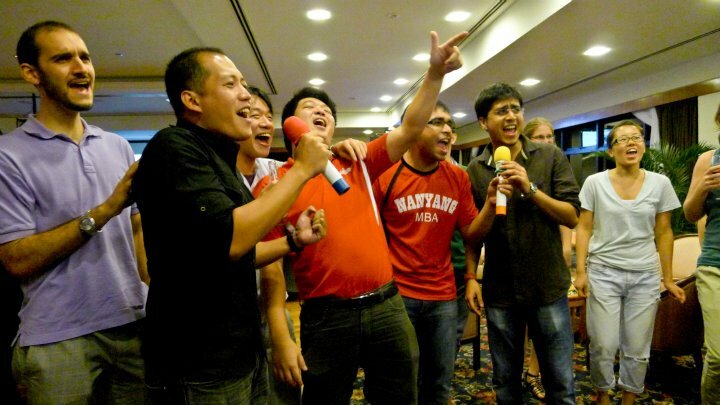 Together with my peers from the MBA program, we were joined by part-time MBA students, as well as our exchange classmates from Spain, the United States and Israel where we gladly belted out power ballads from Aerosmith, Greenday, and even Tom Jones! One of our male Japanese classmates even tested out his vocal prowess with Lady Gaga songs, much to the delight of everyone. There was even a showdown between the ladies and the men, but modesty aside – we, the male participants, dominated the microphone and thus, the night. We sung like there was no tomorrow and hogged the microphone until closing time. 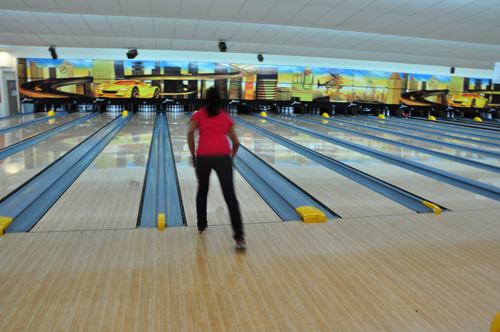 The ladies showing us how to dance the almost forgotten – Macarena dance. What made that night more fun was that some members of the MBA Office shared laughter and musical notes with us as they added vocal power to the event. 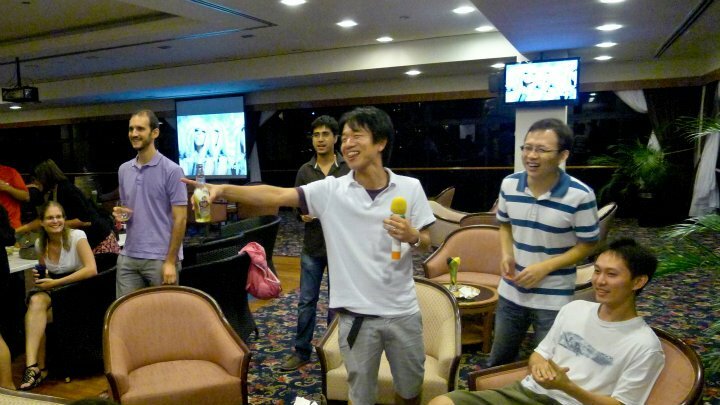 The karaoke night turned an ordinary Tuesday night into a lively gathering of friends, acquaintances and good music. 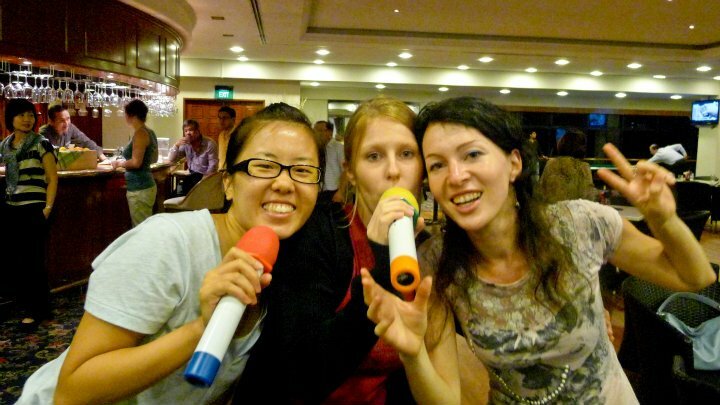 Now that we have discovered who has the powerful voices and the grooviest dance moves accompanying the singing, we are sure that this is definitely not the last karaoke night for our cohort.